Hi, when playing in LAN mode, after a certain time, some playable units will not be restored after death. Only a low (respawn Delay = 1;) setting is preceded by this problem. @Jezuro it possible to add the Independent factions to the Warlords Base Module SIDE so you can choose from three factions. Trying to do this on Unsung Vietnam so sectors are manned by NVA and VC. So far I cant set Blufor and Independent to head to head, so we can fight NVA and VC in the sectors. It's hardcoded to EAST vs WEST. With the next update, you will be able to sort of hack your way through this though. Is it possible to form a squad, ideally with all Command Points for every member going to the leader? Is there any way to leave behind spawned-in troops so they can garrison captured sectors? Or is the only option to have one player stay behind and spawn in a squad with which to guard the sector? The amount of hacks and script abuse by clients on the official warlords servers has reached an unbearbale state. There was not a single game on a full server in the last days that was not ruined by script abuse, ranging from scripted map click artillery to simply letting everybody explode. Hey Beagle can you give me details. Id have to agree. Some suspicious stuff going on. Need to check this please. When is the dang update too? I have been working on my own custom Warlords Mission on Malden which incorporates Mods like RHS as well as ACE. I am getting an Error that I don't know how to fix yet. It is not breaking the mission in any way (not that I witnessed at least) - it's just bothering me. Hacks ranging from hijackiNG the WARLORD messages and displaying insults or racial "Theories" about White Women and black men on screen, forcing respawn of one side without gear at the base location, killign everyone on the server to Mortar up to MLRS attacks, which are impossible in Warlords in a legit way since there is no Artillery. Battle Eye could never tell mission scripts and client scripts that use ingame commands appart. As far as I understand it, BE only checks for altered game data. 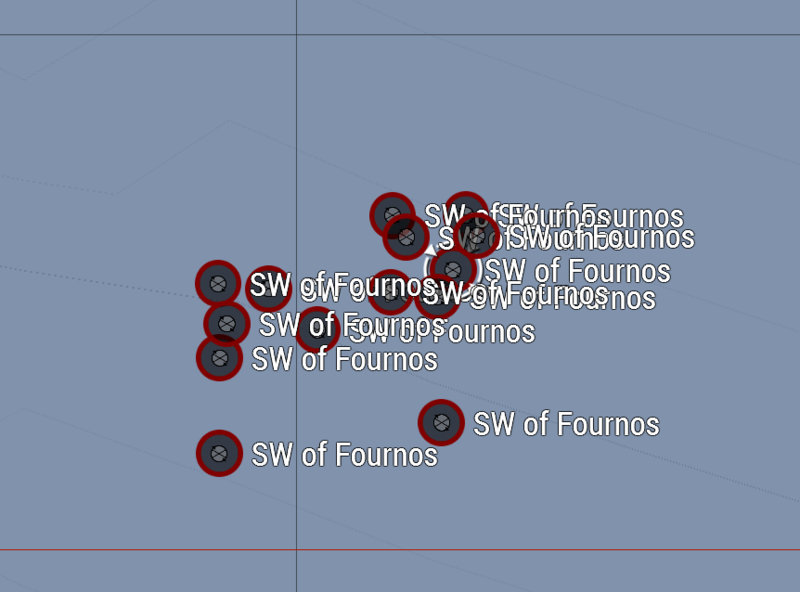 All those scripts use default game commands and objects...like for what happened right now mon US#2e....spawning 6 VTOLS over you that explode on impact. Battle Eye could never tell mission scripts and client scripts that use ingame commands appart. As far as I understand it, BE only checks for altered game data. All those scripts use default game commands and objects...like for what happened right now mon US3e....spawning 6 VTOLS over you that explode on impact. If I'm right, we are speaking about official servers. So, battleEyed, kicking you if any mod. Without mod... there is no mean to cheat, imho. Now, if we are speaking about permissive scenario on some custom server, there is no way to avoid that. Just boycott. We'll be addressing another particular method to inject scripts in multiplayer in the next update, so hopefully that will help the situation. @Pryminko it sounds like something is wrong with one or more custom ammoboxes. Make sure the classnames are correct or try removing some or all of them to check if the error is indeed there. The hacks in warlords get really creative at times. Today at US#1w it came in staggering stages. So, BattleEye is just here for boring, kicking, banning current players, when assholes can ruin the official servers. Correct? Hi @Jezuro, do you know when 1.90 update will happen? Can't give you a specific date at the moment but as soon as we're sure everything's working as it should. The bad thing is that hackers now use BE against other clients to kick them. is there anyway to custumize the deathzone around untargeted objectifs. 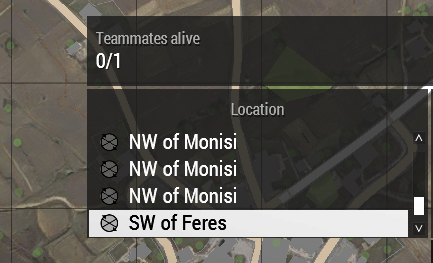 Like to make them smaller or to get rid of them if the mission needs it. Or if there is a way to do it with a scrip. @Oray65 this feature will become available in the next update. Really loving this game mode but we're having a couple of issues. We've started using RespawnTemplates and noticed an interesting problem. Throughout the life of a Warlords mission it seems to create respawn points. The original respawn point remains so it's still playable but something in Warlords seems to be creating respawn points. Have you come across this before or know of a fix? I've yet to track down the exact moment the points are created but will attempt to find out more info, looking at the number it could be when a sector is taken. If I disable "MenuPosition" then players won't be able to respawn. Fingers crossed for upcoming updates for this game mode, we're looking forward to it! Agree! The respawn system should be apart from Warlord modules. The mode has very specific respawn rules (namely redistributing respawn locations when your base is under attack), so I would not recommend using respawn templates. Just tried to make a mission where I have an originally INDEP faction (that is, in the editor it's INDEP) acting as OPFOR. I switched the playable units to OPFOR and they work, but whenever I call in reinforcements they come out as INDEP and start shooting at me. I can't really see where in the update I can fix this.